Review: Olor 24 Hours Active Deodorants...!!! Hope you are doing great. Today am reviewing three new 24 hours active deodorants by Olor. When it comes to deos or fragrances I stick to particular brands and this is the first time I have tried deodorants by the brand, Olor. 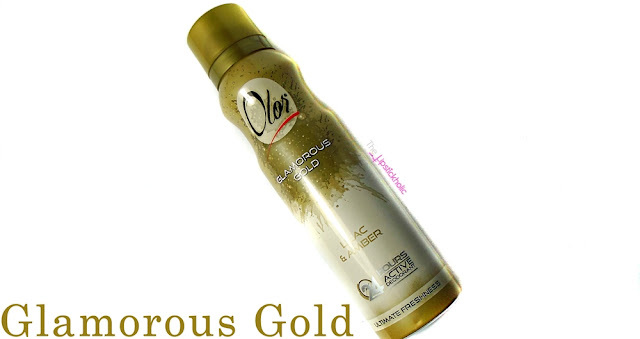 Read full review to find out what I have to say about these new deodorants by Olor. Olor deodorants come in metallic packaging with plastic caps. The packaging is cute and the size of each bottle is perfect to fit in your bag/purse. These Olor deodorants have unique combinations that are different than the usual deos or scents in my collection. Let me briefly tell you about each deodorant individually. 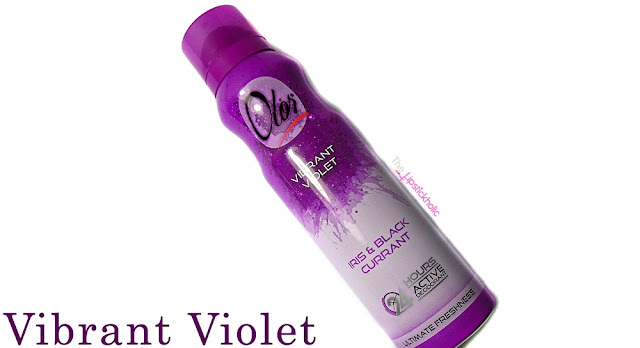 This has a pretty strong scent that contains notes of Lilac & Amber. I am not a fan of musks but surprisingly I like it probably because of the strong scent of lilac in it. The combination is really nice, strong and something that I would use in fall/winters. This smells lightest of all three deodorants. It has iris & black current notes and smells sweet. Overall, a nice feminine scent that screams spring/summers. This one contains Raspberry and Vanilla notes and is my favorite among all three deodorants. The combination is just perfect for me and is more of floral, fruity and refreshing scent. It is not too strong, not too light rather somewhere between. This is again a spring/summer appropriate scent and I love it. The staying power of these deodorants is pretty nice too. They last on me easily till the end of the day and leave behind a mild scent that keeps lingering for about a day or more. Overall, I think these deodorants are great for the price. Something you should keep in your bag/purse along with you to stay fresh. 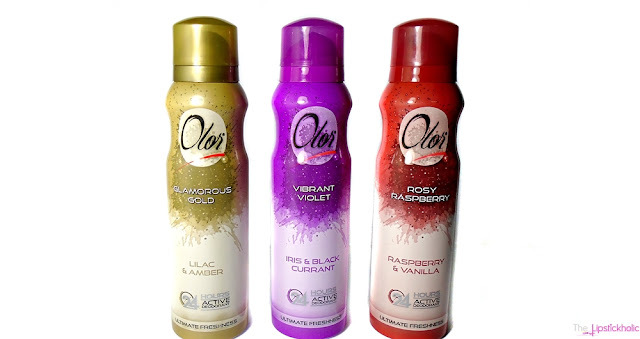 Price & Availability: Olors deodorants are available at leading stores nationwide for Rs 195/- each. Also available online at Just4Girls. Show your love and join "The Lipstickholic" on Facebook, Instagram and Bloglovin too... !!! Disclaimer: This post contains product(s) that were sent to me for review purpose. However, this has not affected my opinion. My review is honest and is based on my own experience with the product(s) or company's service(s). For further information read my complete Disclaimer & PR Policy. Wow! They sound nice especially when on the go. Nice review. I haven't tried this brand. Very economical and packaging looks good. Using them and loving them lately! Agree to all your points. Great review! The packaging is super pretty. 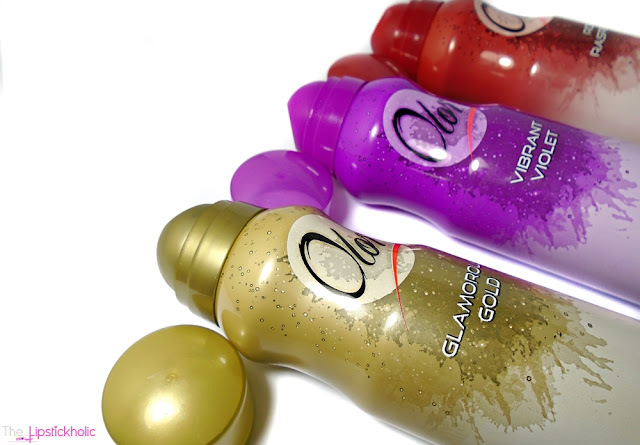 I'm using them these days and I love Glamorous Gold and Vibrant Violet the most. Glad you like them too. Review: Stage Line X-FIX LIPS 04 and 06...!!! Classy Jewellery from Born Pretty Store...!! !